The Italian cultural institute presents “Anorexia. 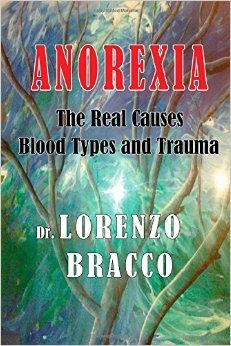 The Real Causes: Blood Types and Trauma,” a lecture about Dr. Bracco’s book, “Anorexia. The Real Causes,” in conversation with author and journalist Dario Voltolini, on Thursday, April 9th at 6p.m. The publication concentrates on leading-edge innovative solutions for the understanding and cure of a pathology that is steadily growing in today’s world. Dario Voltolini will speak about the inspiring story of his daughter, who suffered from anorexia and went on to enjoy a healthy life. “Anorexia: The Real Causes,” which received the Cesare Pavese Award 2013 for nonfiction medical writing, proposes an original solution for the prevention and treatment of female adolescent anorexia. Dr. Bracco offers a new hypothesis: anorexics consistently show an unacknowledged disparity between the daughter’s blood group and that of her mother. It is also important to take into account the now widely recognized fact that several concurrent causes trigger the onset of anorexia and eating disorders-primary among them are prenatal intrauterine traumas and traumas in the first months of life. Dr. Bracco’s unified theory and practical solutions frame known causes of anorexia within a pioneering perspective that brings forth new ways to solve this complex and dramatic problem. The event is free and open to the public. To reserve your spot, please click here.